This pilot monocenter study in 30 patients with painful osteoporotic vertebral compression fractures compared two vertebral augmentation procedures. Over a 3-year post-surgery follow-up, pain/disability/quality of life remained significantly improved with both balloon kyphoplasty and SpineJack® techniques, but the latter allowed better vertebral body height restoration/kyphosis correction. 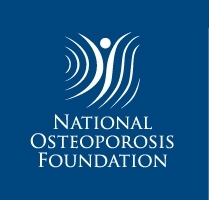 Patient follow-up rarely exceed 2 years in trials comparing vertebral augmentation procedures for the treatment of painful osteoporotic vertebral compression fractures (VCFs). This pilot, investigator-initiated, prospective study aimed to compare long-term results of SpineJack® (SJ) and balloon kyphoplasty (BKP). Preliminary results showed that SJ resulted in a better restoration of vertebral heights and angles, maintained over 12 months. Thirty patients were randomized to SJ (n = 15) or BKP (n = 15). Clinical endpoints were analgesic consumption, back pain intensity (visual analog scale (VAS)), the Oswestry Disability Index (ODI), and quality of life (EQ-VAS score). They were recorded preoperatively, at 5 days (except EQ-VAS), 1, 3, 6, 12, and 36 months post-surgery. Spine X-rays were taken 48 h prior to the procedure and 5 days, 6, 12, and 36 months after. Clinical improvements were observed with both procedures over the 3-year period without significant inter-group differences, but the final mean EQ-5Dindex score was significantly in favor of the SJ group (0.93 ± 0.11 vs 0.81 ± 0.09; p = 0.007). Vertebral height restoration/kyphotic correction was still evident at 36 months with a greater mean correction of anterior (10 ± 13% vs 2 ± 8% for BKP, p = 0.007) and central height (10 ± 11% vs 3 ± 7% for BKP, p = 0.034) and a larger correction of the vertebral body angle (− 5.0° ± 5.1° vs 0.4° ± 3.4°; p = 0.003) for SJ group. 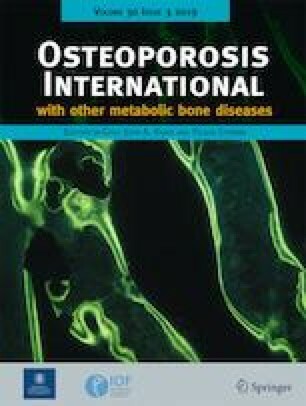 In this study, both techniques displayed very good long-term clinical efficiency and safety in patients with osteoporotic VCFs. Over the 3-year follow-up, vertebral body height restoration/kyphosis correction was better with the SpineJack® procedure. The online version of this article ( https://doi.org/10.1007/s00198-018-4773-5) contains supplementary material, which is available to authorized users. A correction to this article is available online at https://doi.org/10.1007/s00198-018-04825-3.